MedStar St. Mary’s supports the Healthy St. Mary’s Partnership’s Tobacco-Free Living Action Team, which will meet 10 to 11:30 am Tuesday, Aug. 21, 2018, at the St. Mary’s County Health Department. The Tobacco-Free Living Action Team of the Healthy St. Mary’s Partnership is dedicated to improving tobacco-related health outcomes in St. Mary’s County. Partners are now collaborating to implement evidence-based strategies that support local tobacco-free living. Meetings are open to all community members. Minutes from the July 2018 meeting are available here. Cigarette smoking harms nearly every organ of the body, causes many diseases, and reduces the health of smokers in general, according to the Centers for Disease Control and Prevention. Quitting smoking lowers your risk for smoking-related diseases and can add years to your life. Smoking causes more than 480,000 deaths every year. It increases the risk of coronary heart disease and stroke by two to four times. It increases the risk of men developing lung cancer by 25 times and of women developing lung cancer by 25.7 times. The Center for Disease Control says smoking can cause cancer almost anywhere in the body, not just the lungs. Even the bladder, colon, and kidneys can be affected. Even people who smoke fewer than five cigarettes a day can have early signs of cardiovascular disease. Smoking damages blood vessels and can make them thicken and grow narrower, making the heart beat faster and the blood pressure to go up. Clots also can form. A stroke occurs when a clot blocks the blood flow to the brain. 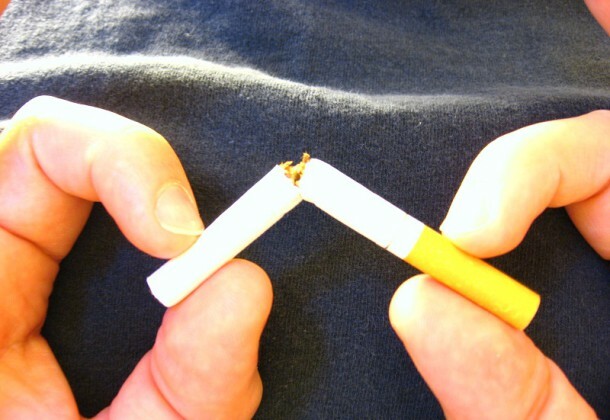 Blockages caused by smoking also can reduce blood flow to the legs and skin. Quitting smoking can reduce the risks and is incredibly beneficial. Within a year of quitting, the risk of heart disease is drastically reduced. Within two to five years, the risk of stroke can be reduced to about the same as a non-smoker’s risk. The risk of cancers in the mouth, throat, esophagus, and bladder drop by half within five years. In 10 years, the risk of lung cancer drops by half. For more information and one-click access to a list of resources available at MedStar St. Mary’s Hospital, visit its Leader member page.